Off the to grocery store I went, excited to cook something for my family. Brought it all home and this is what happened. 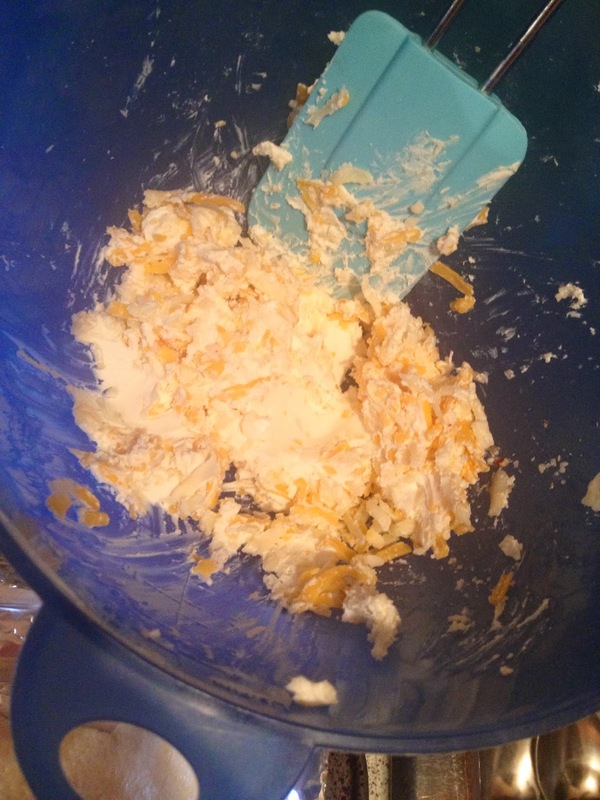 Mix grated cheese and cream cheese together. Psshhh...and done. 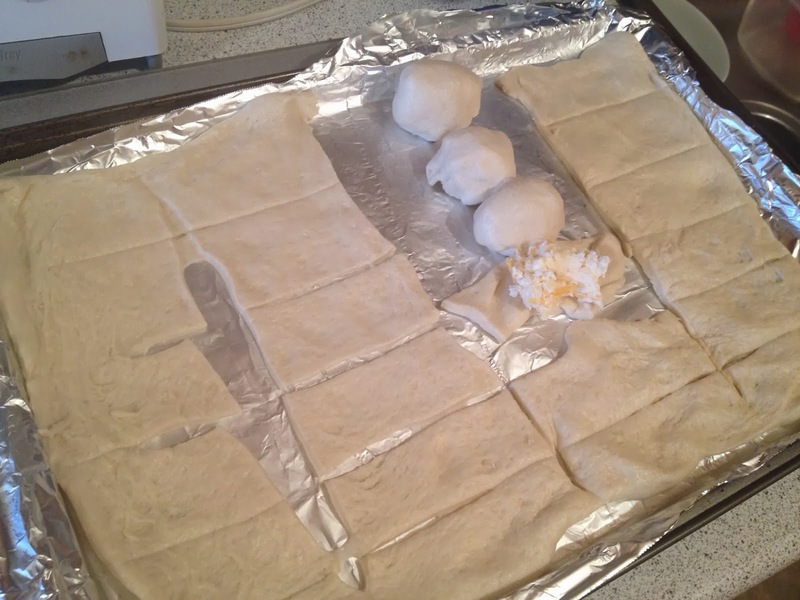 Lay out pizza crust and cut into 36 equal squares. This is where things started to go down hill. If you've seen my handwriting you know that this crooked mess was inevitable. Place a tablespoon of cheese mixture on each square and seal. Place in the shape of a Christmas tree, as shown. 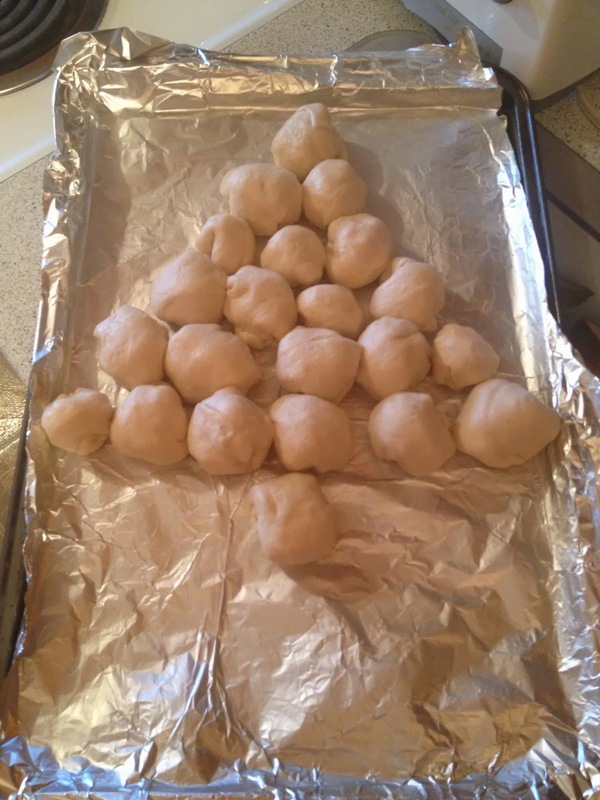 Somehow I ended up with 22 blobs of various sizes AND I ran out of cheese before I'd filled them all. Hmmmm. 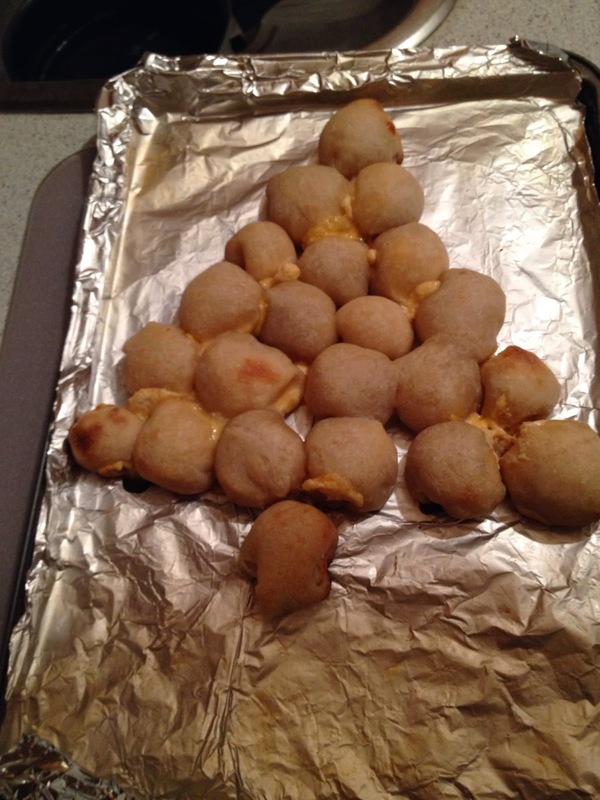 To sum it all up, I had a cheese explosion, random raw dough and some were burnt on the bottom and raw on top. Hope your holiday cooking went better than mine!